Members 2019 subs are due to be paid by 28 February. 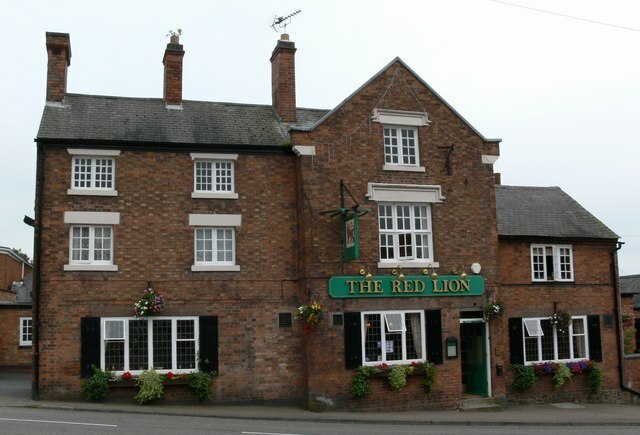 If you haven’t paid and still wish to be a member could you please send your £5 Member Subscription to Membership Secretary, Mrs L King, 19 Fielding Lane, Ratby LE6 0AS as soon as possible. Thank you. image © Copyright Mat Fascione and licensed for reuse under this Creative Commons Licence. The above is from the Ordnance Survey legend. Stile at SK 72464 18386 on the Asfordby parish boundary boosted confidence. On Saturday 28th April just after a lunch stop at Kirby Bellars church a party of seven LFA members set out along the old highway across the fields to Sysonby Grange and Sysonby. Having reached the south end of the dead end byway H32 from Asfordby Valley we had to find a way into the cropped field around SK 72139 18106 (“The gate at the Kirby end (with the new post in the middle of it) of course isn’t on the line.” LCC Officer). 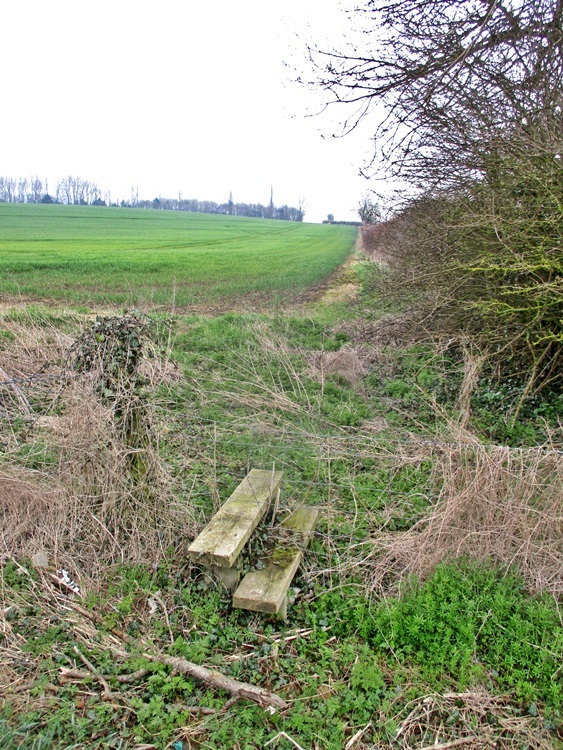 The party were apprehensive pushing through the crop of foot tall wheat across this large field but a stile at SK 72464 18386 on the Asfordby parish boundary boosted confidence. 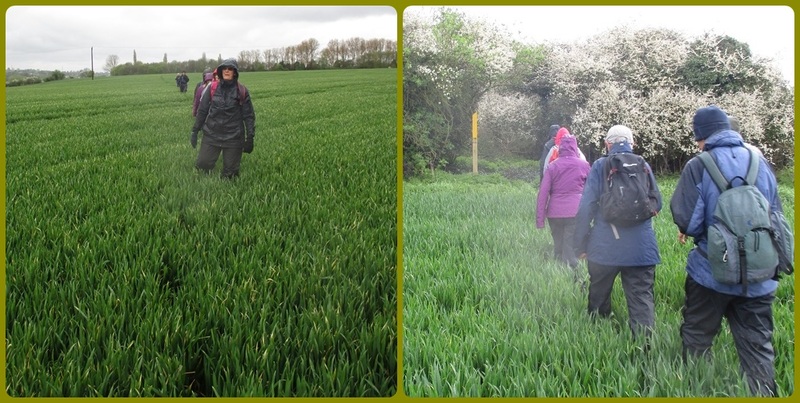 The next field edge route is illegally ploughed regardless of this being road, bridleway or footpath but the narrow field margin did offer easier walking. Just before reaching SK 72795 18561 a significant flow of water crosses the route perhaps from a spring in the field. From the corner of the wood the old field boundary is no longer in place so we set off again through the crop of wheat heading to the left of the piles of compost on the old Sysonby Grange Farm site. 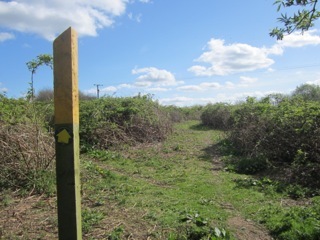 If the landowner does have a preferred route it is to the left of the site because a ‘Private Land No Public Right of Way’ sign is at the entrance SK 73242 18781. This again offered some assurance however, as the route agreed with LCC crosses the ‘Private Land’ it is also an illegal notice. From here we followed a faint track to a ford where a sleeper bridge offered an alternative crossing of the swollen stream. By now we could see the familiar yellow topped post at SK 73475 18724 in the hedge which offered the party assurance that their leader had not led them astray. The cleared route (“I’m not sure why this slipped but the clearance at the Sysonby end has now been done. It’s just sufficient for walkers to get through as an interim measure. 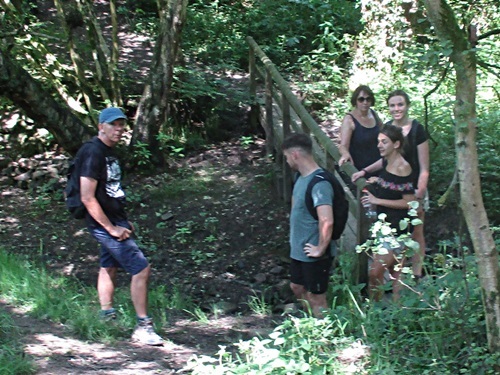 This is on STWater’s land.” LCC Officer) was initially good having only very recently been carried out, but the steep bank was slippery and a challenge for some in the party. Another yellow topped post at SK 73525 18741 is helpful for walkers from the Sysonby end. My thanks to LCC for the limited progress made which allowed us to walk the route but there is still much to do to promote the route initially for walking. We need more yellow topped posts. The route needs to be apparent on the ground, headland paths left uncultivated and cross field section marked out in line with HA sec.134. Access is required along the correct line at Kirby Bellars and more work is needed on the STW land at Sysonby. So why should this work be carried out? LCC has acknowledged that the red or green dots representing ‘Other Route with Public Access’ shown on the Ordnance Survey map is correct with the caveat that the status is unknown. However LCC has also acknowledged that as a minimum the route has a right for those on foot. Without this highway the Byway from Asfordby Valley and footpath H31 are dead ends. The route is clearly shown as a physical feature on old Ordnance Survey maps and using the fade feature on the National Library of Scotland site we can trace the route onto modern day Google satellite, see below. The route is identified on the LCC list of street. Not an easy search but the results below show the complete route as “Publicly Maintained (Adopted)”. LCC’s past failure in their duty to Protect and Assert the public right, section 130 of the Highway Act 1980, discourages use so reducing any need to maintain. Left.. Approaching Sysonby Grange Farm site looking west from SK 73155 18759. Right… Approaching the new yellow topped post at SK 73475 18724 which marks the cleared route through the STW land. 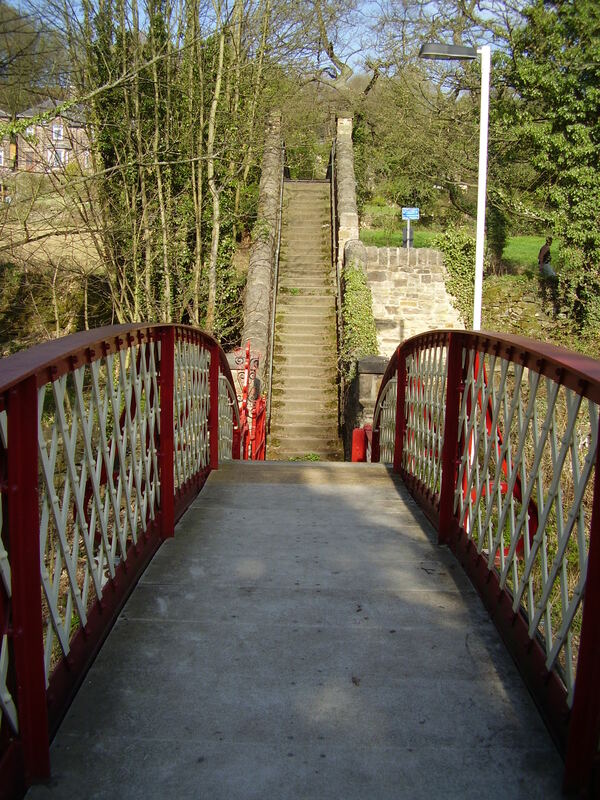 From the minutes of the meeting of Crich Parish Council May 1895 ‘the acceptance of Revd Acraman’s offer of four feet of land across his field to provide a footpath to Whatstandwell Station and the best thanks of this Council.., to be given to Mr. Acraman for his generous gift to the Parish’. 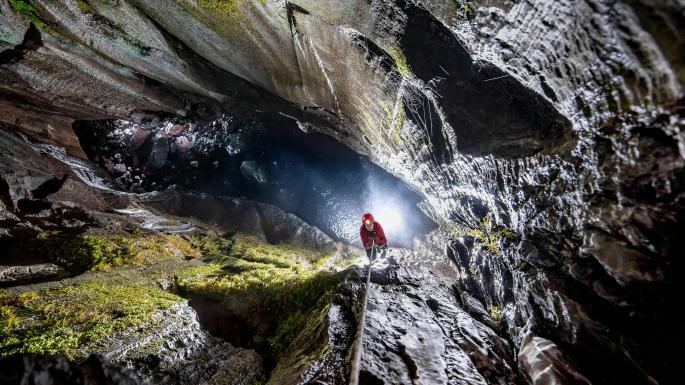 Right to Roam – underground? This one is new to me but looks like it has been doing a rounds for a while. It was in The Times today but as that’s not available online free here’s a bit from The Guardian 2016. 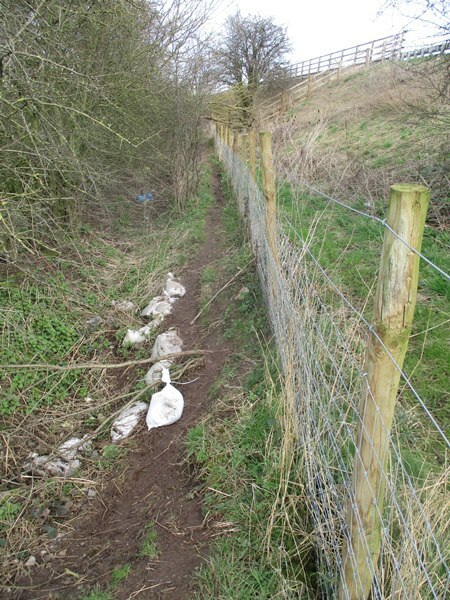 Posted in Footpath News | Comments Off on Right to Roam – underground? An out of area story but one worth telling to encourage the reporting of problems even if you are not planning to return to the area. In 2010-11 I did a long walk from Chepstow to Berwick upon Tweed ‘The Great English Walk’. I encountered a few issues along the way so took time afterward each days walking to report these. I never expected to get back to see if improvements had been made but hoped my effort would benefit those who later used the same paths. On Saturday 17th June 2017 I had the first opportunity to use the path again. I was delighted to find the path, easy to find, well walked and the stream safe to cross on the substantial bridge. Footpath C28 which goes south from the Pug and Greyhound pub at Great Glen was for many years an impenetrable jungle of briars and brambles. When I retired I felt it my duty to clear a way through it to cross the bypass and to reach the canal. In the summer of 2016 I took my shears each evening and cut a way through the brambles. On one occasion I met a young man in shorts battling his way from the bypass as I was cutting my way up towards him. He greeted me with joy to see some clear route ahead and some respite for his cut legs! I felt my labours were rewarded. My path was only a narrow muddy single track through dark overhanging brambles. 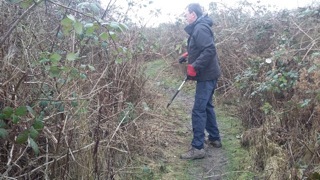 I later got some help in widening it and then talked to Great Glen Wildspace group about the importance of having paths which connected park areas with the footpath network and they found volunteers to widen and clear the footpath (for the benefit of birds and wildlife). It is now a delightful route to add to your repertoire. Footpath cleared by Wildspace team. Looking towards the bypass. 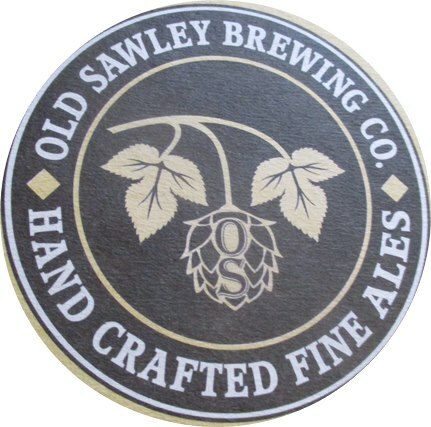 An interesting day yesterday, walked 12 miles, used 5 buses and sampled beer in the Old Sawley Brewery Tap. In detail………….. I dropped off the Notingham Skylink Express at Pegasus Park easily located the Airport Trail and followed it clockwise. 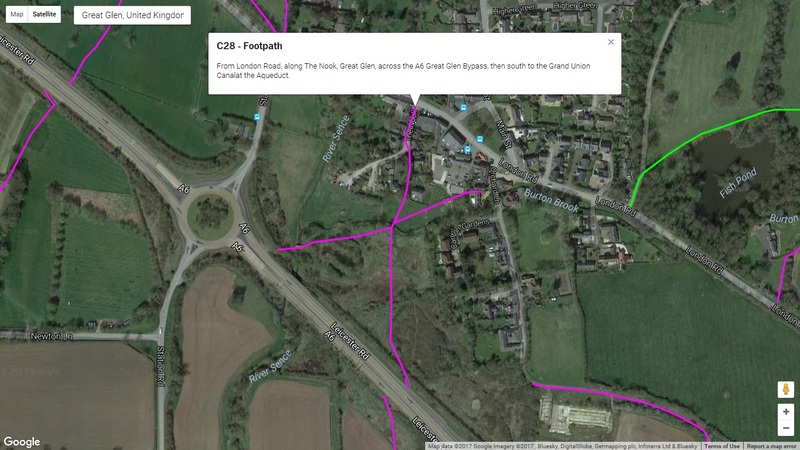 Although they claim to link up the now mostly closed northern dead end paths the trail ignores the southern links with a fence preventing access to L45, L43 (plus Green Lane) and the Diseworth road should anyone wish to use it. I’m not sure if the Trail is intended for cycling but there was evidence of that use. There is a link to L89 as this is a possible short cut. The Aero Park looks more interesting from the Google satellite than on the ground but then I have no interest in aircraft. 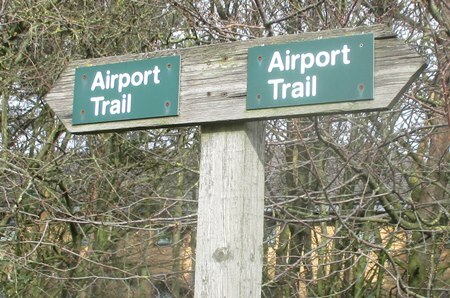 The north end of Diseworth Road is where plane spotters settle and the path from here is well used and rather muddy. There are some nice heath type bits from here on but I suspect they may disappear. 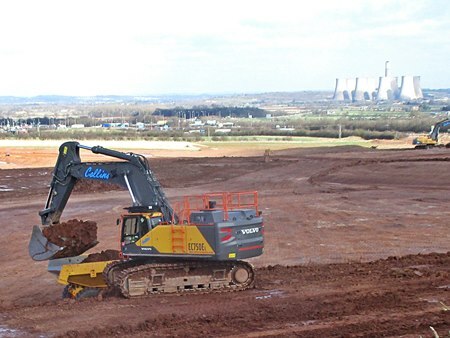 Good views north and the huge earth moving operation to prepare for the Gateway. There is no escape from the Trail across the A453 to the Kegworth road so I had to complete the loop. They have dumped all the planings from the runway resurfacing around here, looks like another car park in the making. So instead of walking into Kegworth I got the Leicester Skylink, 2 miles but I had to wait 20 minutes I think it was just quicker by bus. 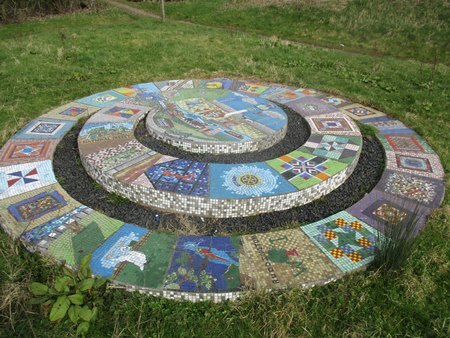 A circular walk of just over 6 miles. The river towpath north of Kegworth bridge was also new to me. 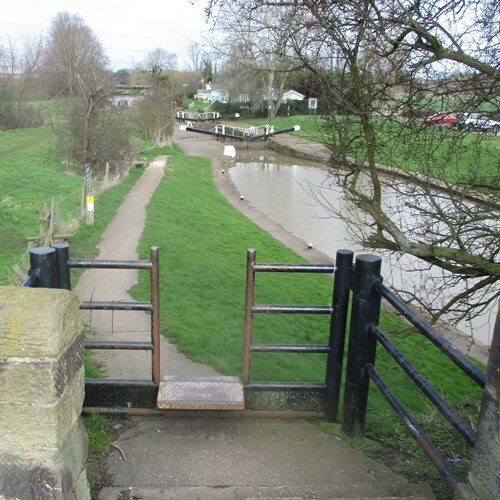 I’ve used L63 a few times and boated along the river but never used the towpath which is free of obstructions with a bridge by the lock and stiles along the way. The towpath is often very close to the RoW but with a stream between them there is no linkage along the way. L63 crosses a footbridge at SK491286 to meet the towpath and they become one. On the south side of the A453 there is a good link to a path alongside the A453 going west to Long Lane and east over the canal before passing under the road to link with L62 BW. However this is a dead end at a ford. What we do not have and you might question whether we need it is a link on the north side between L63 the towpath and BW L101. On the ground it is apparent that folk do want this link because a narrow and difficult path has been created and is well used. I’m not clear where L101 goes as the only official route is a path on the north side of the A453 heading towards Nottingham but I saw no path dropping down to link with BW L62. If we used the towpath or L63 from Kegworth and wanted a through route to the north then this small link would be useful avoiding a double back along L61 or L61A. I didn’t travel further along L63, beyond the A453, here it is effectively the towpath through to the Trent. I’m not sure how useful it would be but we appear to have lost a link with Notts for L84, old maps show a bridge here and later maps show a possible bridge just downstream. 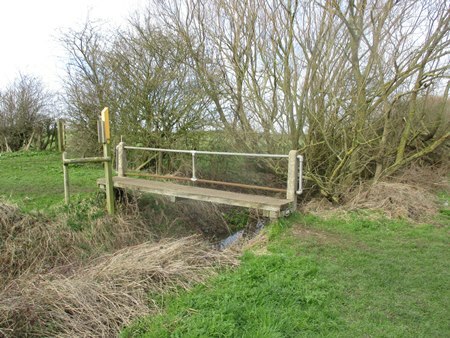 Since the levels were altered to prevent flooding there is no bridge so no link with Notts. I followed the minor road to Sawley Marina. It’s all a bit depressing with hedges and trees being ripped out for the Gateway and here for gravel extraction. So it was good that I arrived at the marina having just missed a Nottingham Skylink which prompted me to walk into Old Sawley just in time I spotted the Brewery Tap and caught a much later bus. Another 6 miles this time linear. A recent path report submitted to LCC by a member has resulted in action but in the mean time please take extra care using footpath A11 to the east side of Gumley Wood. LCC have responded. “I have to speak to the mapping office the has been unofficially diverted and enclosed by the erection of the fence. The stumps are difficult to see with the leaves on the ground and are a trip hazard. Can I ask that you make your members aware of this until we can resolve this issue. I have served notice on the landowner to remove the obstructions as the footpath does not follow the fence line of the wooded area. It may take some time to get this resolved but I am not happy with what they have done the ground is narrow and sloping and when wet and muddy is very slippery in places. 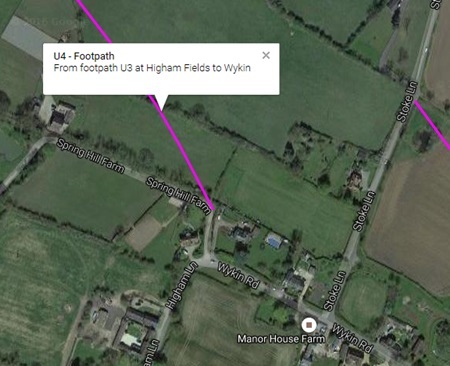 Footpath U4 at Wykin is under threat. The path ends on what was a farm road, this has become the drive to a private house and the landowner is unwilling to acknowledge a public right to use the drive which is essential to reach Higham Lane. 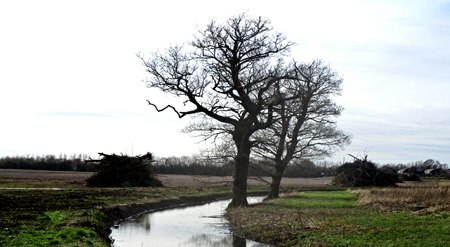 The Hinckley Ramblers will be collecting evidence of use so if you have or do use this path please Email: Roy Shakespeare who is collecting evidence for submitting a claim.